You must make bookings at least 5 minutes in advance of the time at The Drovers Arms Restaurant & Country Pub. Great food, fine ales, friendly atmosphere – what more could you want from a country pub? The Drovers Arms, set in the tiny, picturesque village of Skipwith only ten miles south of York, is fast becoming one of the area’s main destination inns. 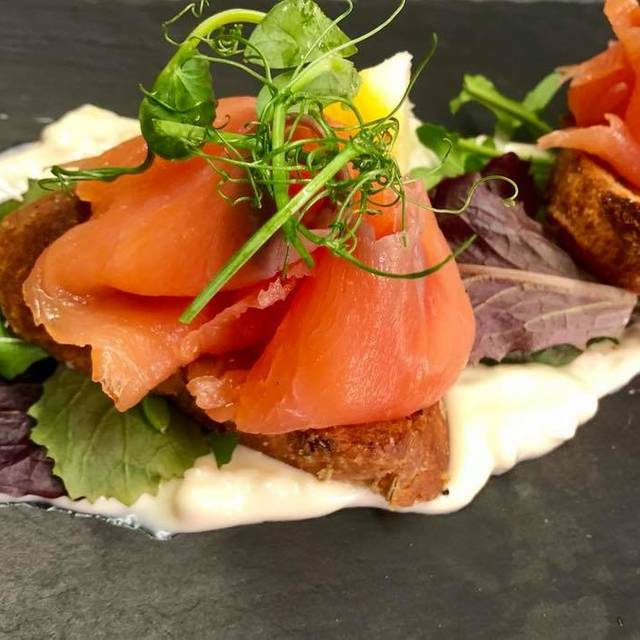 The delicious home-made food is locally sourced and reflects the changing seasons, mirroring the wonderful walks to be found through Skipwith Common, right on its doorstep. Business Owner Graham Usher who has over 20 years’ experience in some of Yorkshire’s best hotels, are justifiably proud of their new enterprise which they took over in November 2013. The Drovers Arms was named one of Yorkshire’s top 30 pubs 2014, 2015, 2016 & 2017 by Welcome to Yorkshire and is a Tripadvisor Certificate of Excellence 2014, 2015, 2016 & 2017 winner. “We are determined to offer our customers authentic ale served by friendly bar staff, coupled with amazing food. Well located in village setting. Good, hard surface car park with easy access into pub. Welcomed by friendly staff who were courteous and attentive throughout. Wide ranging menu - food exceptional. Very good food. Friendly service. Good menu choices. Service and food excellent and made for a pleasant lunchtime treat. This time our party was 7 people. We had a great evening - everyone enjoyed the food and the service was first-rate. We are booked in again for Friday, so we will see you again soon! Very enjoyable meal backed up by good service. Would certainly go back. Always good food. Usually great service, although a little slow on Monday evening. Still, a lovely evening out and a good meal! Would definitely go back. 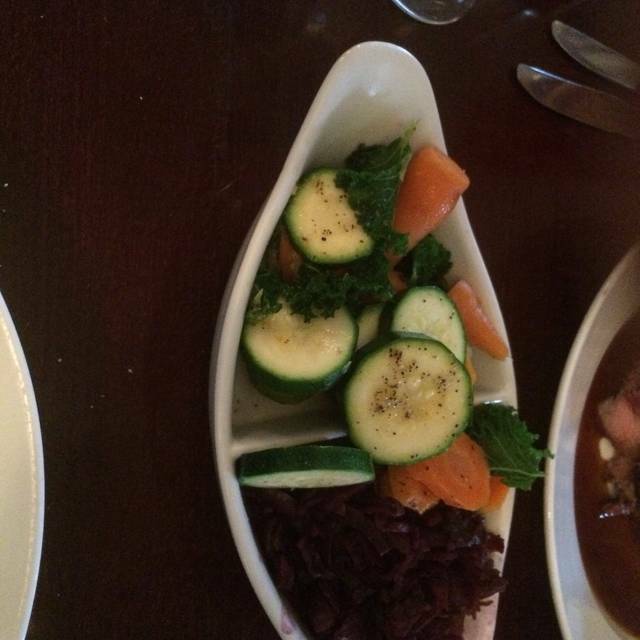 The food was very good, the portions were enormous, the staff very smiley and friendly - we will definitely return. Just 2 minor 'niggles' in that it was Pepsi, which I find vile - much prefer Coke, and they could do more for smokers. The food was delicious. I had a prawn noodle starter and the lamb rump which was perfectly cooked. I sat by the log fire in the bar where everything was clean and comfortable and the service was excellent. In a lovely setting with the potential for a walk, I will return with friends. 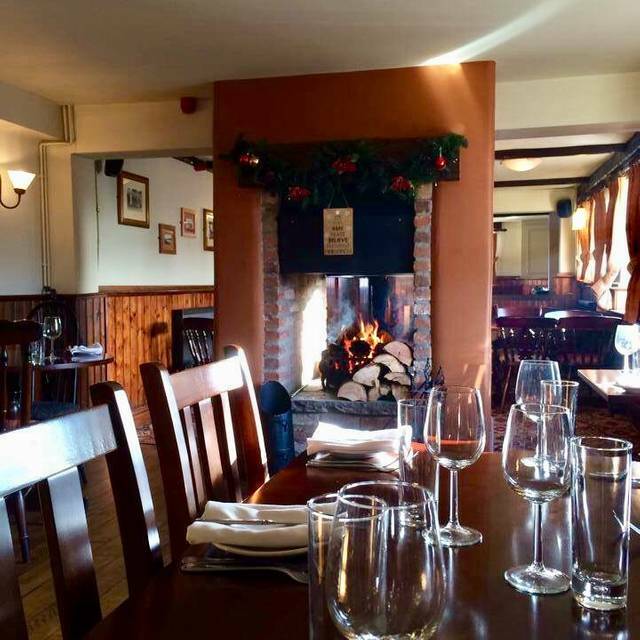 If you want an authentic Country pub setting with outstanding service and food, this is the place. Service was attentive without being over the top - thank you Abigail!!. Food was delicious. 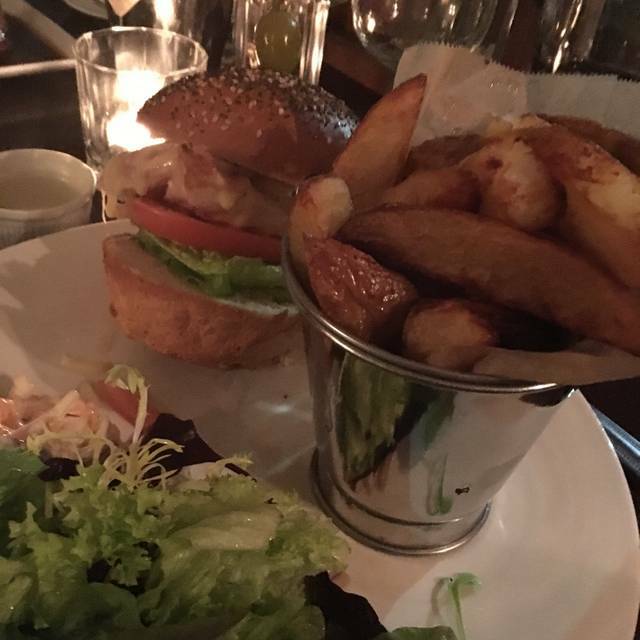 Had excellent Fish and Chips, my wife had their delicious locally sourced Burger. Would come back for sure. This was our first visit to the Drovers, will be happy to return soon. I rarely give poor reviews and I’m sad to be writing this. We have been occasional (two or three times a year) customers for many years and have seen a bit of a decline in the quality of food and service in recent visits. This time, however was so poor that I don’t think we will try again. Our meal was a midweek lunch for four and we booked in advance. There were only two staff on duty, one a new member on her first shift and the other a regular. We could see straight away that they were both struggling to keep on top of the service. The phone rang frequently and stridently for long periods of time because the staff were too busy to answer. We were warned that we would have a wait of 30 minutes for our food, which wasn’t a problem for us. It arrived in 40 minutes. I had ordered an onion bahji burger with mango and chilli chutney. It was served without chutney. On enquiry I was told that the chutney hadn’t come in the delivery but I could have yoghurt. Not the same thing at all. The bahji was dry and hard and on closer inspection I found that the bottom was burned black. I complained and was offered an alternative. It took 30 minutes for my meal to arrived, by which time the others had finished eating and I’d lost my appetite. It was boxed up for me to take away. My husband had chosen the steak suet crust pie. The steak was chewy (not tender) and the pastry thick and tough. The chips were soggy. Our companions said their food was ok, but not great. Clearly on this occasion the staff were struggling. It’s such a shame because it’s a nice pub, the menu is attractive and the staff do their best. I know the owners are trying hard to offer a range of different dishes and drinks. Perhaps we were just unlucky - but it’s unlikely we will try again. I should add that we were not charged for my meal. I took my parents here for Sunday dinner last week. 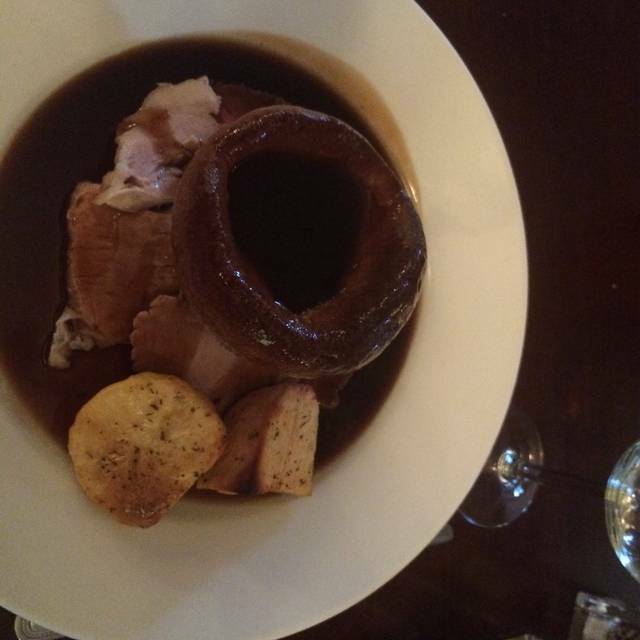 Service was great and the food was delicious, especially the Sunday roast. I would definitely recommend. Thanks! Great food, better than you'd expect from a pub by a long way, great staff who were polite and helpful and a beautiful location if you like a stroll into the woods at Skipwith literally 2 minutes walk away. A regular haunt of ours now. The food was absolutely delicious, the vegetables were cooked to perfection and it's worth a visit for the twice cooked chips alone! First time we've tried them for breakfast. It was really great. We thoroughly enjoyed it and we will be back! Hi sadly the food was not as hot overall as I would have liked but the quality was good. A jug of gravy would be a nice touch too. Lovely Sunday Lunch. Only gripe was that our beef was rather on the cool side. As we were one of the first in thought it would be hot. Never mind - will come again. We have called in over the years at the Drovers Arms and have always enjoyed it. We have now been the last couple of years on Christmas Eve and this year had an evening meal there. It was excellent and the atmosphere in the pub was very welcoming and casual. We also recently used one of the Drovers Arms Breakfast vouchers and I would recommend a breakfast on a Saturday or Sunday as it was lovely and very filling. another enjoyable evening at the drovers arms. the pub was very busy today and somethings were already gone from the menu at 7 o'clock. when my soup and bread arrived the bread was wafer thin. so i wondered if this was running out too. but the food was again lovely and we had a good night. will certainly be returning. We always love this pub, but on Friday it was particularly loud. It isn't the pub's fault, but there were a couple of very noisy groups of people who seemed to be trying to "outdo" each other regarding volume. Shouty people who got louder as the evening wore on. We normally have a great, quiet meal here - the food was great but the noise levels were pretty awful! I accept that there isn't much the pub can do about this - but it is feedback! Service was good but not outstanding. Food was very good; several things I would easily have chosen. It's not a cheap meal out, but not bad for what we got. Attentive waiting staff, warm reception, prompt service with a smile. They had run out of lots of carvery options but food from main menu was available and very tasty. The table we had was located next to a radiator which was on full so it was uncomfortably hot. There were only two roast potatoes on the plate with the meat and Yorkshire pudding, given the small helpings of vegetables I would have hoped for mashed potato too. To be fair what we did get was tasty, although not filling. We had plenty of room for pudding. Unfortunately we waited so long I had to go and ask one of the waiting staff if she would take our sweet order. She obliged but reluctantly. Lovely puddings when they arrived. Shame about the service. Food lovely. Staff friendly and very accommodating. Always a pleasure. Excellent food and friendly service. Highly recommended. We have been before and really rate this pub and restaurant. A good varied menu, well presented, good selection of ales. It is also close to the common, an extraordinary place worth visiting for a walk before your dinner. Food was good, and plenty of it. Service was good. Great pub. Fantastic atmosphere. Would recommend. Would definataly return. We had the two meals for £12 lunch offer and it was excellent.